I am sure the conversation went something like..."We really need a new watchtower. Let's rip off the kitchen roof and build it in the house." 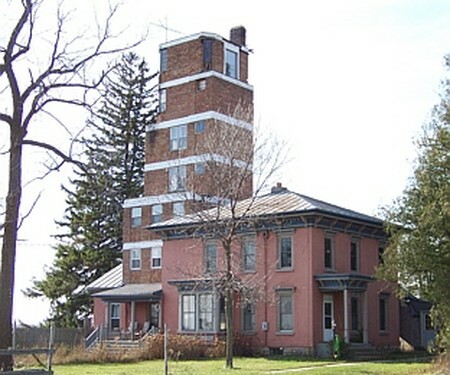 Wonderful 1871 farm house with a 7 story poured concrete and steel tower built in 1935. What was I thinking?! Oh yea, I love this place.